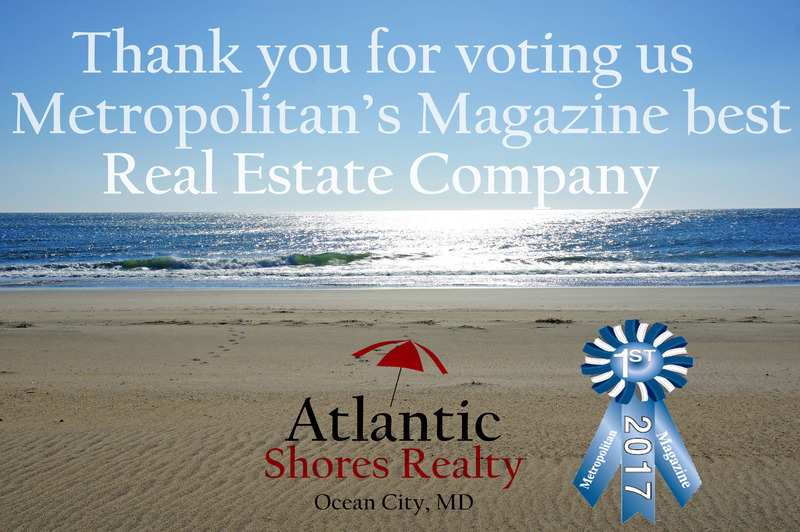 Metropolitan’s Magazine 2017 Voted Best Real Estate Company! 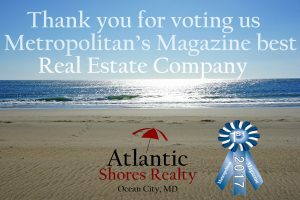 Thank you for voting us Metropolitan magazine’s “Best Real Estate Company” Berlin to Ocean City in 2017. It’s truly an honor to accept this award on behalf of all of our friends, clients and readers of such a great magazine. We look forward to serving all your Real Estate needs in Delmarva for years to come.